We hold expertise in manufacturing, exporting and supplying an extensive array of LP & HP Dosing Skid Systems. Our offered dosing skid systems are developed at our sophisticated manufacturing unit utilizing top notch material & latest technology in line set standards. 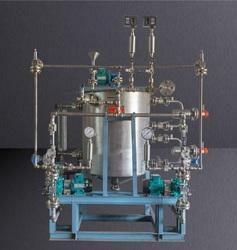 The offered dosing skid systems are comes in diverse specifications to meet the several demands of customers. We are giving these dosing skid systems from us at nominal rates in a given time frame. 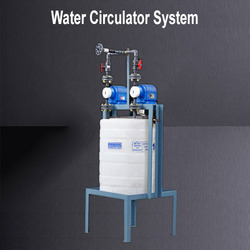 Supported by highly experienced professionals, we have emerged as an affluent manufacturer, exporter and supplier of Water Circulator System that is highly demanded in the market for its high efficiency and low maintenance. Offered circulator systems are developed from the finest quality of material & contemporary techniques under the guidance of skilled professionals. Our offered circulator systems are widely used for mineral salts from water. We offer these circulator systems in different specifications according to the demands of customers. 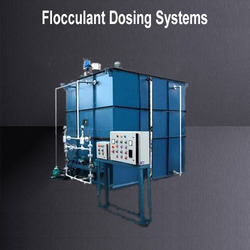 Being a noteworthy enterprise of this industry, we are offering a wide spectrum of Flocculant Dosing Systems. These dosing systems finds its main use in water treatment plants that helps in clarifying water from mineral washing processing. Our dosing systems consist of solution preparation tank with dosing tank. We are giving these dosing systems in various specifications as per customer’s choices. Sensors model of tank:- HDPE, SS316, SS304, FRP, P.P. In order to sustain extensive pressure and for maximum accuracy, we are indulged in offering Skid Mounted Chemical Dosing System. These dosing systems provide an excellent solution with pay back, bringing in consistent quality into the product. Offered dosing systems are used to provide the information as quick and easy dosage calculation. Our customers can avail these dosing systems at industry leading rates within in a given time frame. Looking for Skid Mounted Dosing Systems ?